What does Michelangelo have to do with marketing? What can you learn about branding from Botticelli? In this dynamic keynote address, media strategist Greg Stone will share proven techniques to add punch to your promotional strategies -- with a lot of help from great artists and writers. This presentation is based on his acclaimed book Artful Business: 50 Lessons From Creative Geniuses, which offers a toolkit of tips for the “thinking manager” seeking new ideas or strategies. Come and delight your eyes with sumptuous, color masterpieces. You will learn to see the problem at hand from novel perspectives with many examples from ads and art, from DaVinci to Vermeer to Mercedes Benz. Greg will teach you how to craft messages that will command attention in the manner of great paintings. True creativity leaves you wanting more. It produces an urgent and compelling experience. You will learn how to declare war on clichés and to give vent to your passions in marketing, just as the expressionists did. The artists Paul Klee and Vincent Van Gogh provide great examples. They painted what they felt, not just what they saw. How do you tell a compelling business story? What you should include? 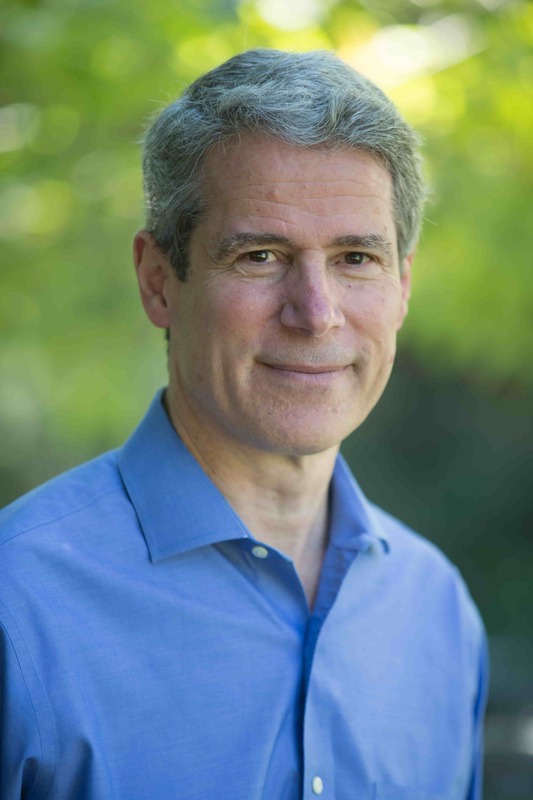 Based on his forthcoming book, Villains, Victims and Heroes: Harnessing the Power of Messages and Stories For Business and Career Success, Greg Stone explores the role of heroes, victims and above all, villains, in this keynote address. In the commercial world the “villains” are the problems that cause pain, discomfort or extra expense for customers who are in effect the “victims.” And who are the heroes? The products and services that offer solutions, and the companies and executives behind them. Greg will teach you how to find the “villain” to uncover the story. Learn how to speak like a screenwriter or novelist and achieve executive presence through eloquence. 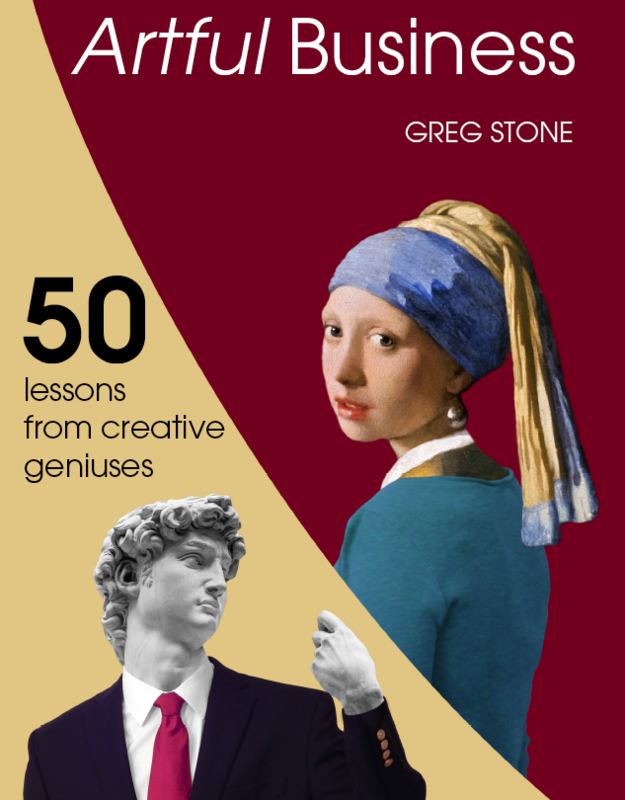 Greg Stone wrote an acclaimed book on inspired management -- called Artful Business: 50 Lessons from Creative Geniuses -- featuring a dazzling collection of masterpieces and stimulating ideas on facing pages. He is currently writing the forthcoming book Villains, Victims and Heroes: Harnessing the Power of Messages and Stories For Business and Career Success, an outgrowth from his influential Harvard Business Review article. Greg is an experienced speaker and SAG actor who is certainly no stranger to stage and camera. He has delivered speeches or workshops at events held by The CEO Club of Boston, The Art of Management Organization (in Slovenia), The BRITE Conference at Columbia Business School, The Metro West Chamber of Commerce in Massachusetts, The Society for Marketing Professional Services (in Boston, MA and Saratoga Springs, NY), the New England-Israel Business Chamber, The Harvard Club, Bentley University, and the Inbound Marketing Conference in Boston. Greg began his career as a writer at Time Inc. in New York, and later worked as a TV reporter in Minneapolis, Boston, and on PBS. His professional honors include three Emmy nominations. Turning down an offer to anchor at CNN in New York, Greg founded Stone Communications in 1989. Since then he has conducted media and presentation skills workshops for high-level executives at Fidelity, IBM and 3M; deans at Harvard University; rocket scientists at the Smithsonian; senior managers at the LA Dodgers; thought leaders at the Worldwide Web Consortium; the governors of Massachusetts and Pennsylvania; Mayor Walsh of Boston; three spokespeople facing interviews on “60 Minutes” and many other clients. Assignments have brought him all across the US and to the UK, South Korea and Albania. 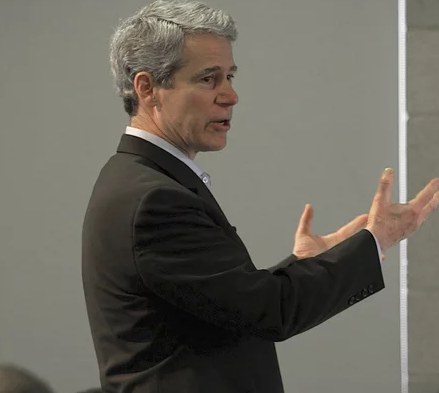 As a recognized expert, Greg has guest-lectured on media relations and presentation skills at Columbia Business School and at Harvard Business School, which engaged him on a long- term project as the “official media trainer” for the professors. Greg has also written and directed hundreds of productions, ranging from 30-second commercials to corporate videos to a feature film. His clients have included Coca-Cola, Dana-Farber Cancer Institute, The Institute for Healthcare Improvement, Johns Hopkins Medical School, Memorial Sloan-Kettering Cancer Center and Stop & Shop. Ever curious about other cultures, Greg studied French, Italian and German as an undergraduate, earning an AB with honors from Harvard University, followed by two master’s degrees from Columbia University in journalism and business. He resides in Belmont, MA with his wife, daughter, son and a rescue dog aptly named Happy.